2014 June: As You Were . . . 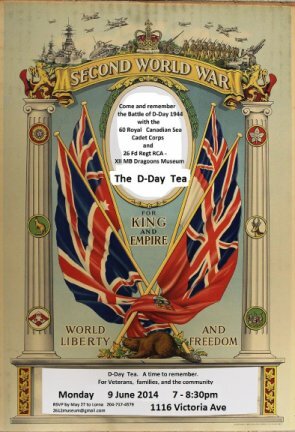 The unveiling is September 10, 2014.
the day the Allies began the bloody quest to reclaim Europe from the Nazis. 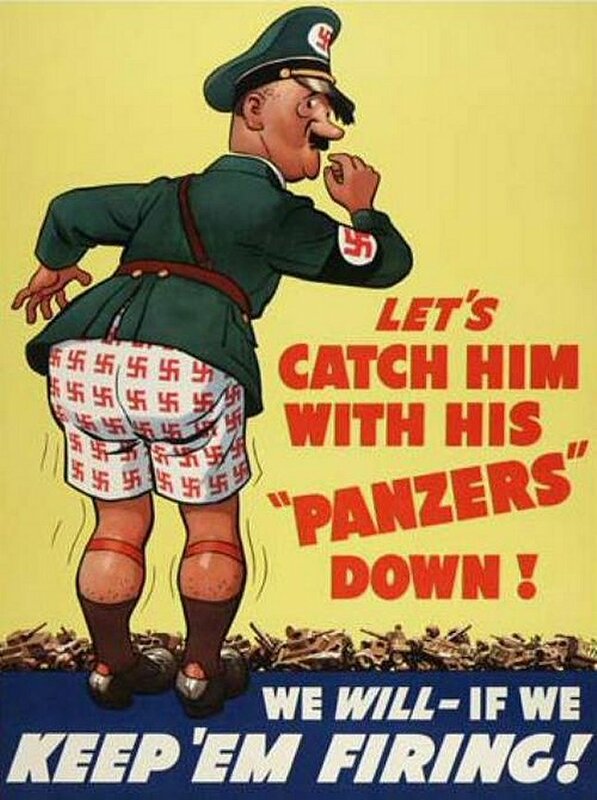 March 23, 1942: Nearly two years after capturing France, Adolf Hitler issues Führer Directive Number 40. The directive calls for the creation of an Atlantikwall to thwart an amphibious Allied invasion of the European mainland from England Nov. 8, 1942: The Allies launch Operation Torch, a British-American attack of Vichy-French controlled North Africa designed to enhance Allied control of the Mediterranean. The invasion, proposed by the British in lieu of a large scale assault across the English Channel, all but eliminates the prospect of an invasion of the European mainland in 1943. 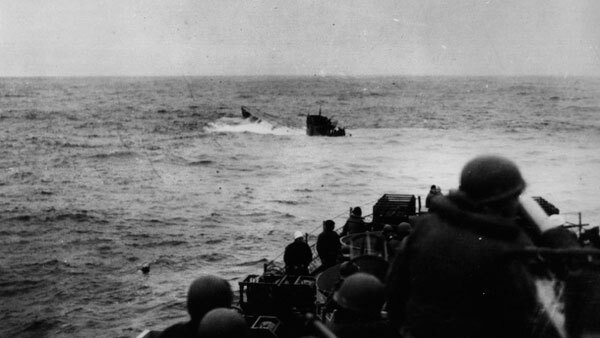 April-May 1943: Aided by enhanced radar, improved anti-submarine weaponry, and air superiority, the Allies achieve predominance in the Atlantic, foiling German U-boats that had operated with near impunity since 1939. Germany lost 243 U-boats in 1943—nearly twice as many as they had during the four previous years combined. 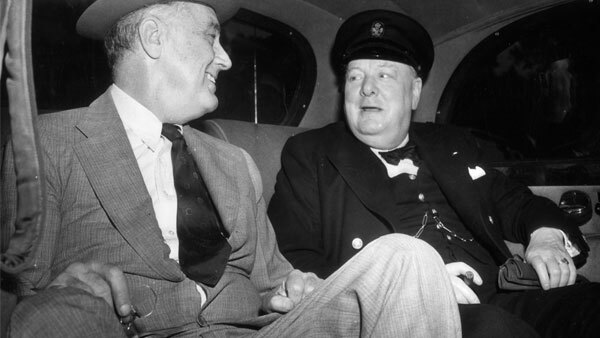 May 1943: In Washington, D.C., after two weeks of discussion, Winston Churchill and Franklin Roosevelt agree on a date for an invasion of France: May 1944. 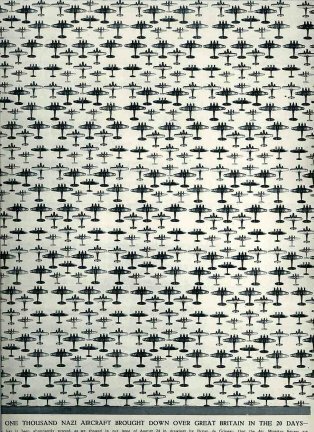 September 1943: Following the successful invasion of Sicily, the Allies invade German-occupied Italy on three fronts. By month's end, the American-British 15th Army Group had secured southern Italy, and commanders had gained valuable experience in amphibious assaults. November 1943: In Tehran, Churchill and Roosevelt inform Joseph Stalin that a cross-channel attack would take place the following spring. Dec. 6, 1943: Gen. Dwight D. Eisenhower is appointed commander of Supreme Headquarters Allied Expeditionary Force. He approves Normandy as his invasion point, not the more convenient Pas de Calais region, which was the position where Hitler and the German high command suspected an attack. Eisenhower would arrive in London two months after assuming command. December 1943: The Allies launch Operation Fortitude, which includes a strategy designed to deceive the German high command into believing the main Allied attack would occur near Calais in mid-July 1944. 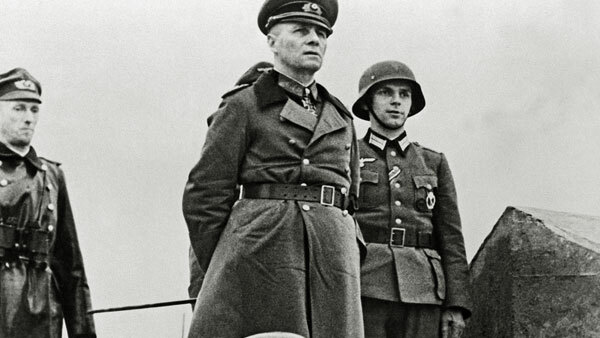 Jan. 15, 1944: Erwin Rommel (below), the German war hero who had distinguished himself in campaigns in France and North Africa, is appointed commander of Army Group B, making him largely responsible for more than 3,000 miles of Atlantic coastline defended by concrete walls and bunkers, minefields, and barbed wire. 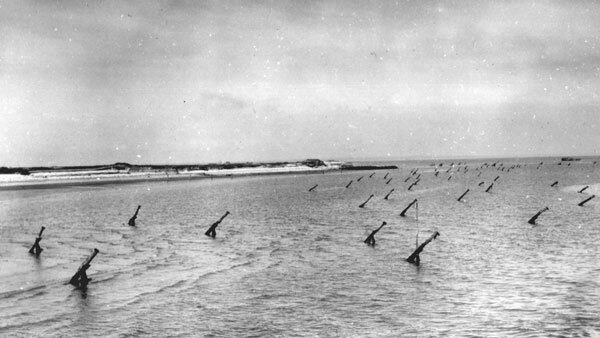 Rommel immediately begins improving the battlements of the Atlantikwall. March 1944: As part of Operation Fortitude, Lt. Gen. George S. Patton is placed in command of the First U.S. Army Group (a largely fictitious army) near Dover. Due to the success of operation, the German High Command believed there was about twice as many Allied divisions in England than there actually were. 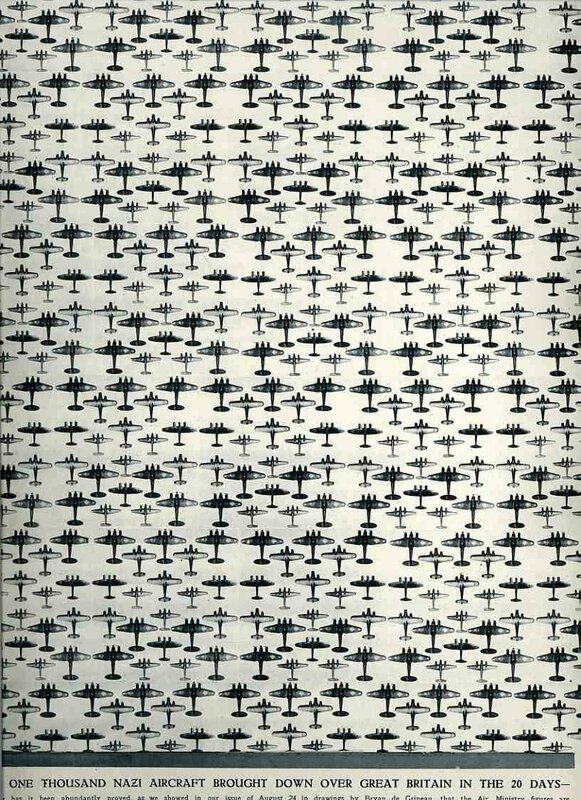 May 1944: French agents supply the Allies with nearly 4,000 radio and telegraph reports on the positions of the German military. May 8, 1944: Eisenhower selects June 5 as D-Day for the cross-channel invasion of Normandy. June 1, 1944: After months of refortification, the Atlantikwall battlements consist of 20 million cubic yards of concrete, 1.2 million tons of steel, more than 6 million mines, and more than half a million beach landing obstacles. 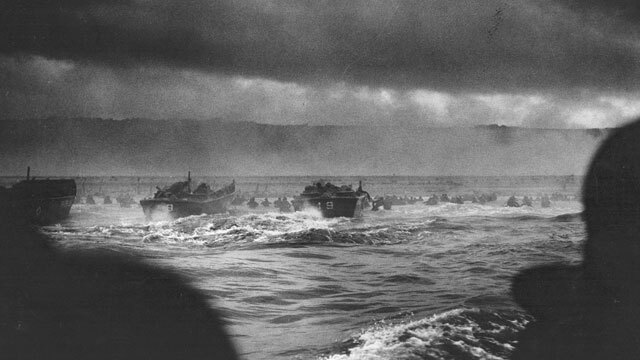 June 4, 1944: Inclement weather renders a June 5 invasion impossible. Eisenhower orders a 24-hour postponement, during which time his armada waits. June 5, 1944: In the early morning hours, after receiving a report from his weather adviser and consulting British Field Marshall Bernard Montgomery, Eisenhower approves Operation Overlord. June 6, 1944: Following a mass aerial bombardment, some 156,000 Allied troops storm Normandy beaches in the largest amphibious assault in history. 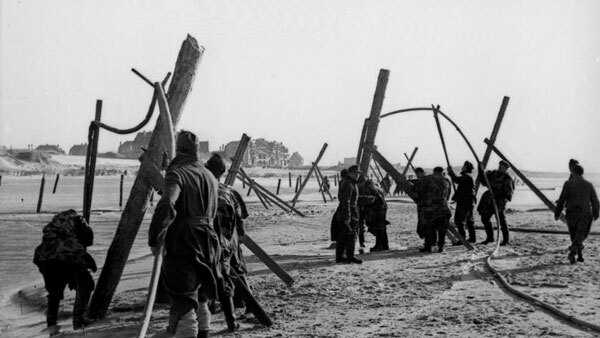 The five-prong attack occurred along a 50-mile stretch of heavily fortified coast. 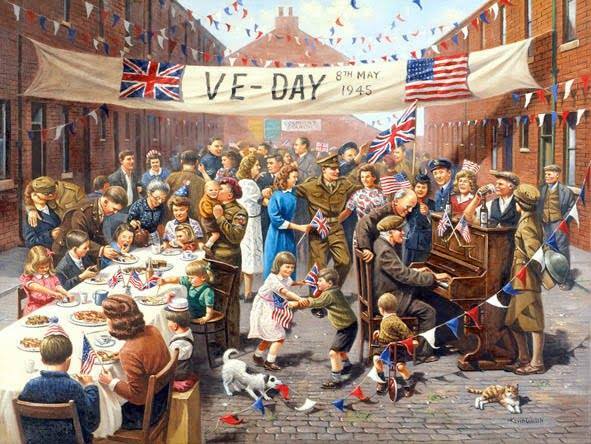 Less than one week later, the beaches were fully secured and more than 326,000 troops and 54,000 vehicles had landed, and more than 4,000 Allied troops had lost their lives. after pouring water from the High Arctic at the statue's base Sunday. 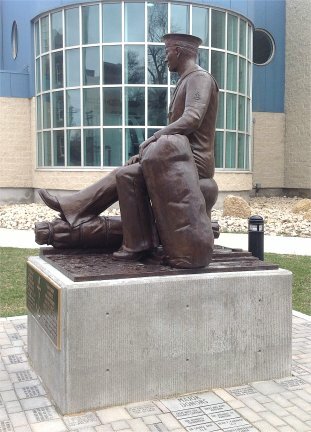 Called the Prairie Sailor Statue and sculpted by Winnipeg artist Helen Granger Young, the monument recognizes that Winnipeg was the third-largest naval recruiting centre in Canada during the Second World War, exceeded only by those on the East Coast and West Coast. The dedication was held in conjunction with the annual Battle of the Atlantic commemoration ceremony at 1 Navy Way. "The Prairie Sailor monument is a beautifully crafted, physical promise that as long as there is a Royal Canadian Navy, the memory of you, the memory of the battle that you fought and won and your sacrifices and the sacrifices that were made by those not with us today, will live on," said Lt.-Cmdr. Paul Stiff, the HMCS Chippawa commanding officer. The commemoration is held on the first Sunday in May to remember those lost at sea during the Battle of the Atlantic in the Second World War. 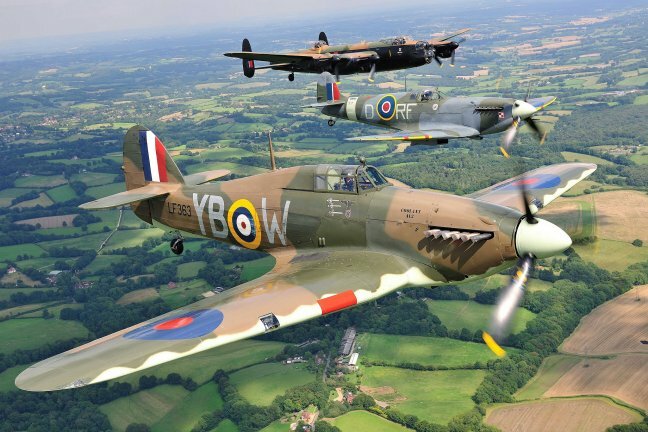 The Battle of the Atlantic was fought from 1939 to 1945 and, lasting 2,075 days, was the longest and largest campaign of the Second World War. It is described in a National Defence statement as "the fight for supremacy in the North Atlantic" as Allied naval and air forces battled German and Italian submarines, ships and aircraft whose primary targets were the convoys of merchant ships carrying life-sustaining cargo from North America to Europe. Canada's navy provided 47 per cent of all convoy escorts of merchant vessels across the North Atlantic during the Second World War. 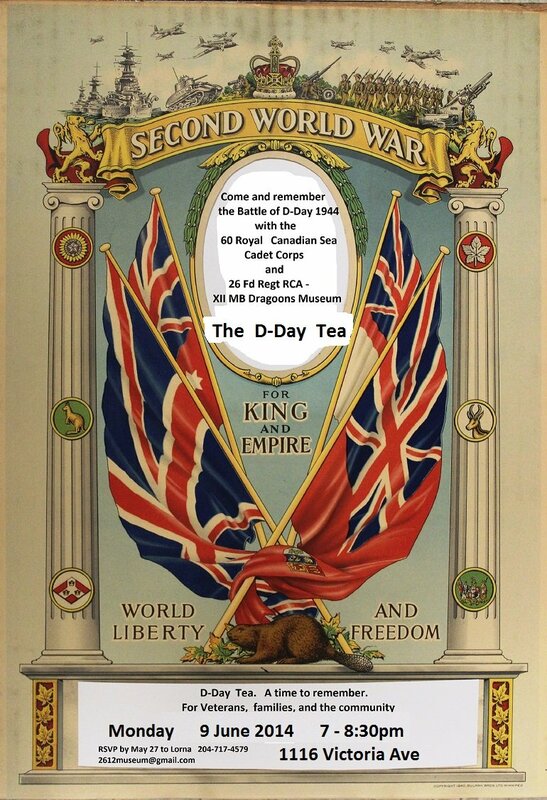 Among the Royal Canadian Navy, the Canadian Merchant Navy and the Royal Canadian Air Force, more than 4,600 servicemen and servicewomen lost their lives in the Battle of the Atlantic. 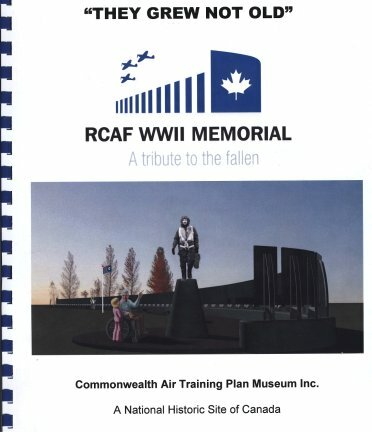 "Thousands of Canadian men and women, members of the Royal Canadian Navy, the Merchant Navy and the Royal Canadian Air Force, mostly volunteers from small-town Canada, had to face situations so perilous that they are difficult to imagine. As Canadians, we should be proud of their courage," Stiff said. During Sunday's dedication ceremony, Second World War naval veterans Petty Officer Bob Watkins and Engine Room Artificer 4 Harold Hughes poured water at the base of the Prairie Sailor statue that was taken from the High Arctic where Canada's three oceans meet. The water represented all of the waters on which Canadian sailors served. "It (the statue) is a great thing. And yes, they are remembering," an emotional Hughes said. "The worst time was when we had to leave so many behind. Remembering coming home without them." Watkins said he helped start the statue project and was pleased to be able to see its placing. "It reminds me of the training here, the shipmates that I lost and those who also served," Watkins, 89, said. 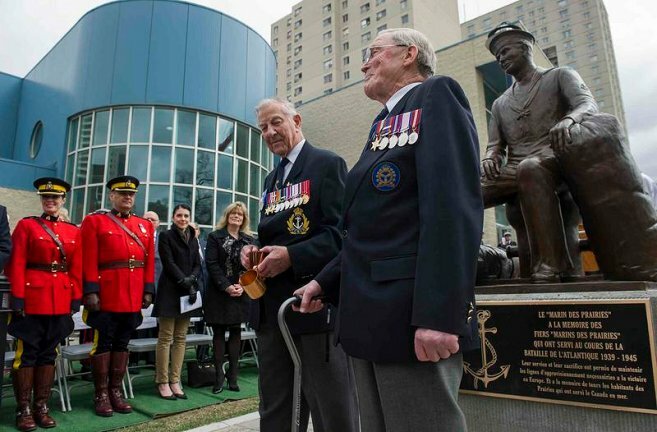 "The biggest thing, I think, is this statue will bring home to the citizens of Winnipeg and visitors that we do have a navy barracks here and we do have a navy in Canada. I don't want them to forget that." HMCS Chippawa, Manitoba's only naval reserve unit, was created in 1923 and is located at the corner of Navy Way and Assiniboine Avenue. 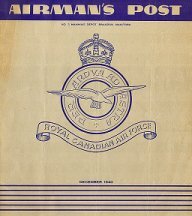 There were 8,000 sailors and 300 officers -- Prairie sailors -- who joined the Royal Canadian Navy out of Winnipeg during the Second World War. 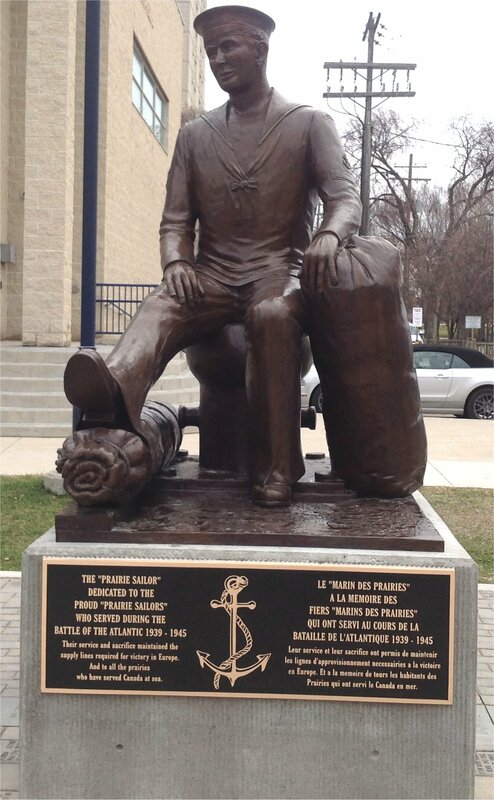 "It (the Prairie Sailor Statue) will stand to remind us of the sacrifices and dedication shown by the many Prairie sailors who served and continue to serve on the oceans of the world," Lt.-Cmdr. Jack Barrett, the 1 Canada Air Division chaplain, said during the dedication. The Royal Canadian Navy lost 33 vessels and suffered 2,210 fatalities, including six women, during the Battle of the Atlantic. 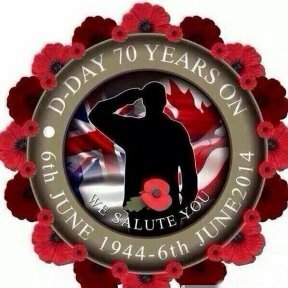 They served in some of the world's deadliest seas, and Sunday they were honoured for their courage and sacrifice. A bronze statue depicting a young sailor looking into the distance with his seabag by his side was dedicated by HMCS Chippawa to honour the memory of Canada's Prairie sailors, many of whom came from Winnipeg. 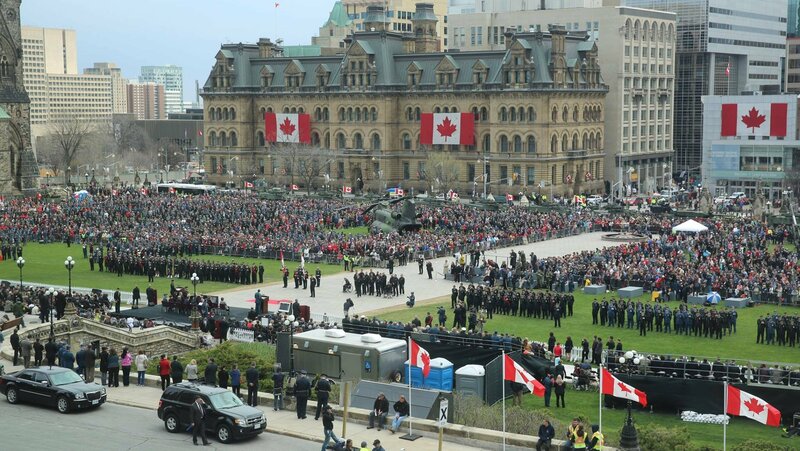 OTTAWA -- Veterans, current service men and women, politicians and dignitaries have commemorated the single longest battle of the Second World War. The names of ships lost at sea between 1939 and 1945 were read out on Sunday as the Battle of the Atlantic was remembered on Parliament Hill. Several similar ceremonies were held across the country as people gathered to lay wreaths to mark the 71st anniversary of the battle. Defence Minister Rob Nicholson and Chief of Defence Staff General Tom Lawson were among the dignitaries who attended the ceremony in Ottawa. A bell rang each time the name of a ship lost during the battle was read out. The Battle of the Atlantic began on Sept. 3, 1939, when the Montreal-bound passenger ship SS Athenia was sunk by a German submarine west of Ireland, killing 188 people, including four Canadians. By the time the war was over, more than 3,000 sailors and merchant seamen had lost their lives delivering supplies across the Atlantic Ocean to Britain. When the battle began, Canada's navy had only 13 ships, including a half dozen destroyers.